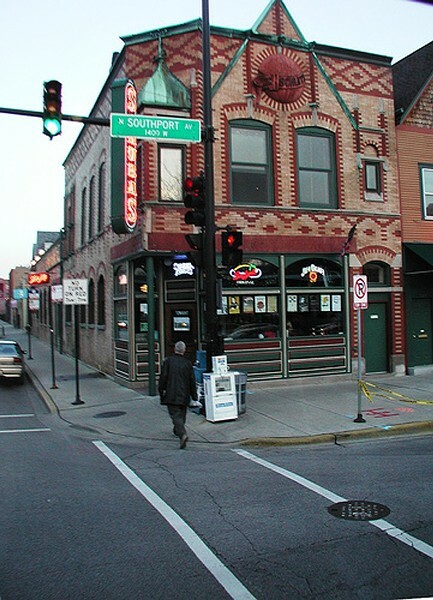 The Schlitz globe is visible under the gable of Schubas. 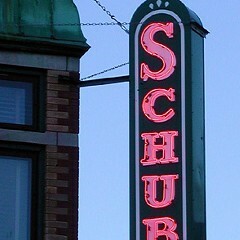 On your way into Schubas (3159 N. Southport), look up past the neon sign and you'll see emblazoned into the patterened-brick wall a logo for Schlitz beer. You'll find the same on the side of Southport Lanes and Billiards (3325 N. Southport) nearby. No, they weren't breweries—the buildings were originally tied houses, brewery-funded bars that could only sell the one brand of beer, not unlike how Subway works today. Thanks to expensive saloon licenses, tied houses were all over the place in the late 19th and early 20th centuries; Schlitz constructed at least 57 on its own. The practice was banned with the repeal of Prohibition, when the current wholesaler system was put in place (some argue distributors today are mimicking tied house behavior and keeping Bud and Miller on top). 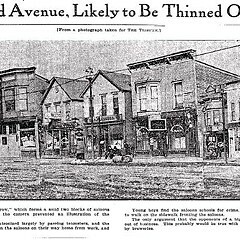 Thanks to their seedy past and ornate Queen Anne or German Renaissance Revival architecure, nine of the city's tied houses were designated as city landmarks, including Schubas. In fact, there are at least 41 old tied houses in the city still standing from Lawrence Avenue down to the far south side. Of his music venue/bar, Chris Schuba says "I always knew it was a special place. It was built to be a tavern. There aren't many of those in the United States." Have a particular observation or favorite oddity about a neighborhood? 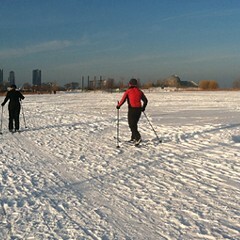 E-mail it to zoomin@chicagoreader.com.